Across California, on a daily basis, people are hurt using defective or hazardous consumer items. The injuries that arise from defective consumer products are frequently minor, but sometimes such injuries can be catastrophic and even permanently disabling. If you’re made ill by food poisoning, injured in a crash caused by a defective auto part, or burned by something like a defective appliance or a cigarette lighter, speak immediately to experienced Riverside product liability attorney Chris Purcell. Chris Purcell has more than two decades of experience representing the victims of defectively designed and defectively manufactured products. Injuries linked to vehicles and vehicle parts, medical devices, power tools, electrical appliances and devices, and prescription and over-the-counter drugs can cause long-term, catastrophic physical damage. If you are injured while using any consumer item, seek medical treatment at once. Then consult with attorney Chris Purcell. Do not speak with an insurance company first. As a client of Purcell Law, you’ll have an experienced product liability lawyer fighting aggressively for the compensation that is rightfully yours. WHAT ARE THE DIFFERENT TYPES OF PRODUCT DEFECTS ACCORDING TO RIVERSIDE LAW FIRMS? Design defect: this defect occurs when the actual design of a product makes it reasonably dangerous to any customer who uses it the way it is intended to be used. For example, a blow dryer that is designed to heat up to such an extremely high temperature that it will cause burns on anyone who uses it is defective because of its design. Manufacturing defect: with this defect, nothing is wrong with the actual design of the product, but an issue with manufacturing makes the product unreasonably dangerous to customers who use it. Take the blow dryer example again. If the design does not put customers at risk, but the manufacturers accidentally use a metal that heats up quickly and can cause burns to the customer’s skin when they grab the product, this is a manufacturing defect. Warning defect: this occurs when a product’s packaging does not warn consumers of the potential dangers of using the product. For example, if an over the counter medication does not warn consumers of the potential dangerous side effects of using the product, this would be a warning defect.Although you may assume this can only occur on prescription or over the counter medications, that is not necessarily true. Any kind of product that requires a safety warning should be properly labeled to protect customers. It is important to note that with any product liability case, you must be able to show you were using the product according to the instructions on the packaging. For example, if instructions on a firework package make it clear you should never hold the firework while you are lighting it or while it is lit, but you do this anyways, you can not file a personal injury claim if you injure yourself. You clearly did not pay attention to the instructions and did not use the product in the way it was intended to be used. In this case, your injury was a result of you failing to follow the instructions, not due to a defective product. 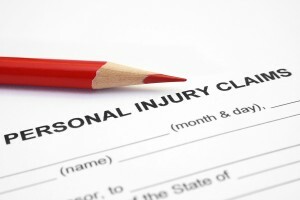 Multiple parties may be liable for your injuries depending on the accident. Of course, the type of defect that caused your injury will determine who is liable for it. For example, a product with a manufacturing defect would most likely be the fault of the manufacturer, not the retailer or wholesale distributor. But, if it was actually a design defect, then the original designer or engineer of the product would be held liable. Identifying the liable parties is an important first step in product liability cases, but it can be difficult. Speak to attorney Chris Purcell to determine if you are eligible for compensation and if so, which parties should be held liable for your injuries. If you or a loved one has been injured because of one of these common defects, speak to an attorney as soon as possible. Product liability law is complex, and if the liable party is a large company, they will have a team of experienced lawyers on their side, so you should have one on yours, too. If you are injured while using a defective consumer item, and if you need to be compensated for your medical care, loss of wages, loss of earning capacity, pain and suffering and other costs related to your injury, you and your attorney will need to prove that you were using the product as it was meant to be used. If you can additionally prove that the defective product was the direct cause of your personal injury, you are entitled by California law to full compensation for all of your medical care, lost wages or lost earning capacity, and all other expenses arising from your injury. You can’t do it alone. Obtain the help of attorney Chris Purcell. Don’t wait to call. WHAT ARE SOME EXAMPLES OF DEFECTIVE PRODUCT CLAIMS? Defective product claims may involve anything from a dangerous children’s toy to specialized tools and equipment for construction and manufacturing. Faulty kitchen appliances, defective autos and auto parts, contaminated food products, and defective pharmaceutical drugs commonly generate product liability claims. Don’t wait to contact attorney Chris Purcell if you are injured using a dangerous product. You have a limited amount of time in California to file a product liability claim and to pursue compensation for your injuries. Attorney Chris Purcell has over 20 years of experience and will evaluate every detail of your case to win compensation on your behalf. He has experience representing clients in cases involving products liability, motorcycle accidents, truck accidents, spinal cord injuries, premises liability and burn injuries. All product liability claims are handled on a contingency fee basis, so clients are charged no attorney’s fees unless and until Purcell Law prevails with your product liability claim. Schedule a free legal consultation with Riverside product liability lawyer Chris Purcell by calling 714-332-5098, or contact Chris by email after any injury caused by negligence in southern California.